Happy Valentines day everyone! Some of you will getting ready for a nice romantic day with your significant other, putting your favourite dress on and applying that lipstick you've been too scared to use because it looks so pretty. Me on the other hand.. not so much. Though I have been in love with a new addition to my makeup routine, the Shu Uemura S Curlers. With these little beauties, who needs Valentines day? I've always been a bit sceptical of the Shu Uemura curler hype, just how good can a pair of eyelash curlers be? Well it only takes 50% off in the Space NK sale for them to whisk their way into my life. 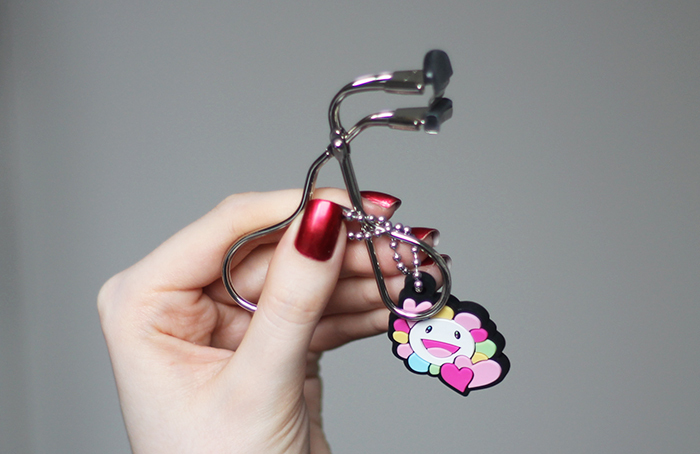 The S Curlers are a little different to your average eyelash curler. The curler is around half the size of your average curler and instead of curling each lash at once, it allows a much more precise curl in the inner and outer corners. You can also use them on false lashes. My pair of curlers comes from the Takashi Murakami collection and comes with a cute little charm but the regular S curlers are exactly the same and cost the same as these do. Feature I love about the S Curlers is that it comes with an extra silicone refill pad and it also has a rubber pad at the top where you can rest the curler which makes the process much comfier. If you're after a new pair of eyelash curlers, definitely give these a go. They're absolutely perfect for smaller eyes and they lift your lashes like nothing else. Now if you'll excuse me, I have a date with Netflix. Honestly the best ones I've ever owned, I've even woken up the next day after using them and still have curled lashes! Definitely an investment at the full price but I'd have gladly paid it if I knew how good they were. I'm in dire need of new eyelash curlers and have always been tempted by the Shu Uemura curlers. I should really take the plunge and buy them. I hope you and Netflix had a good date haha.